Many of the University’s Colleges hold insufficient information about wheelchair and step-free access, and several do not appear to fully understand the requirements of disabled students, according to a recent report produced by the CUSU Disabled Students’ Campaign. The report was released on Wednesday, on the inaugural Day of Action for Disability Equality in Education, which was marked both in Cambridge and nationwide. Entitled ‘To boldly go where everyone else has gone before: Step-free and wheelchair access in the University of Cambridge’, the report used testimonies to illustrate issues still faced by disabled students and staff, and raised concerns about the extent of colleges’ compliance with the 2010 Equality Act. It highlighted insufficient clarity of provision for those with disabilities, and pointed to “a lack of understanding on the part of some Colleges” as to what constitutes ‘wheelchair access’ or ‘step-free access’. Cambridge, “with its greater than average number of old (and often listed) buildings (never mind the cobblestones)”, can therefore cause particular issues for disabled students and staff. According to the report, only three of the University’s 31 colleges were able to provide an up-to-date ‘access audit’ – a document detailing an assessment of a college’s sites compared against best-practice standards. Of these documents, one dated to 2017, one to 2011, and the other to 2004. 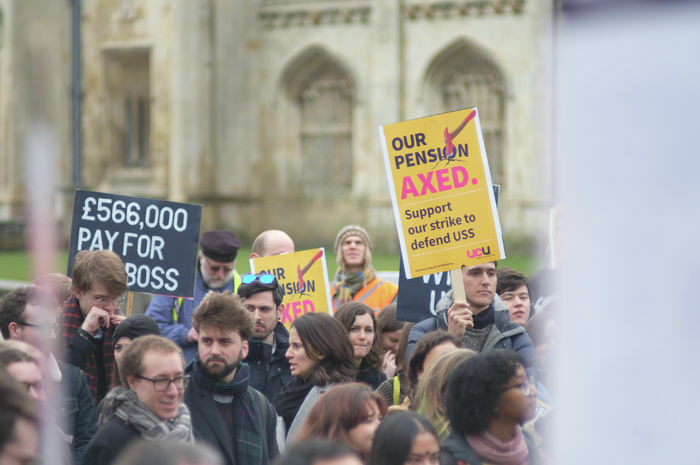 Many colleges were unable to respond to the Freedom of Information requests submitted by the Disabled Students’ Campaign, and, even when full audits were provided, these were “often lacking in detail”. Due to the lack of available data, the report concludes that it is “essentially impossible” to make “any significant assessment” of the extent to which the majority of the University’s colleges are compliant with the 2010 Equality Act, which requires that anticipatory reasonable adjustments be made for disabled people. Travis said it is “shocking” that many people “seem to think the conversation has 'moved on'” and often assume that wheelchair users, as the group often reflexively thought of when disability and accessibility are mentioned, are sufficiently catered for already, declaring that this “is absolutely not the case”. One of the report’s main recommendations is that colleges buy into an incoming initiative spearheaded by Cambridge’s Disability Resource Centre, which will see the University make use of AccessAble, an accessibility audit software. AccessAble aims to create an ‘access map’ of all central university sites and faculties in Cambridge with the aim of aiding disabled students and staff. However, this map would not automatically include the University’s 31 colleges.